The essay on page 69 of The Blair Reader entitled: “The Sanctuary of School” was written by Lynda Barry. In this literary work, Lynda Barry remembers her Seattle grade school in a racially mixed neighborhood as a nurturing safe haven from her difficult family life. In the following essay, we will discuss how through this descriptive and pathetic story, Lynda Barry glorifies schools and reveals the importance of public schools by comparing her life at school and her life at home. 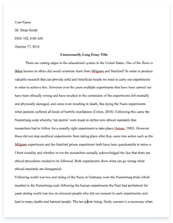 In the first paragraph of the essay, the way the writer starts the essay set up the tone for the whole work. In fact, the first sentence of the essay tells us the story of a seven years old girl who gets out of her house when it still “dark” outside and also when it’s cold as specified in the second sentence of the essay. A question jumped right here: what’s a girl doing outside of her house alone in such circumstances? Isn’t that pathetic? “Yes” for some and “No” for others. However, as far as I’m concerned I’ve never been outside early in the morning when I was 7 years old and especially in winter. I was always accompanied by my parents no matter where I was going. Latter in the essay, Lynda Barry tells us that her parent were “fighting all night” and also that they were through a difficult financial and emotional situation. Another fact is that Lynda Barry and her brother used to give up their bedrooms to their relatives. This is really a sad story of children ignored by their parents and that really makes the essay pathetic. In the fourth paragraph the author reveals where she was going so early. And that place is school. But why is she anxious about getting to school? I don’t know how many children are anxious about getting to school. However, the comparison made by the author between the life at school and the one at home explain why the young girl “woke up filled with a panic about needing to get to school.” In fact, the first sentence of the seventh paragraph of the essay is an important clue in that comparison. The feeling of panic that the young girl felt when she woke up disappeared the very moment she “turned the corner and saw the dark outline of” her school. At home, Lynda Barry is anxious, she is filled with panic. When she gets out of her house, it’s dark and cold. But as soon as she sees the way of school, she is released from all the bad feelings. She is now happy and acts like a child as specified in paragraph 8. Also, when she arrives at school, the sun is rising and the birds are singing. In short, the life of Lynda Barry at home is about: “dark”, “fighting”, “panic”, “anxiety” and “financial and emotional crisis.” However, at school, her life is more meaningful as she was getting out from a world with the sound turned off to a world where the birds are singing. The way, Lynda Barry feels when she goes to school is not only because she wants to escape her bad conditions at home. In fact, Lynda Barry receives at school the best thing I think parents can give to their children: affection. At school, Lynda and her brother are no longer neglected. The janitor Mr. Gunderson, the fifth-grade teacher Mr. Cunningham, and her teacher Mrs. Claire LeSane show their affection to Lynda. They greet Lynda, talked with her and ask her some services. An illustration is when her teacher asked her to carry the purse which was considered as “an honor above all honors” by Lynda. All these school officials treated Lynda with love and Lynda was happy because she was coming to life the same way as her school when the janitor let her “turn on the lights and raise the window shades.” According to my own experience, I never got comfort from my teacher and so forth. My parents were always there when I needed comfort and encouragement. I believe that everybody needs comfort from somebody, parents or not; and Lynda received that from her teachers. In the last part of the essay, Lynda Barry concludes by making a political statement in which she decries the fact that the budget for public schools is decreasing year after year. In fact, the author argues that schools are really important for many children like her who haven’t had a family life. The point of view of the author is indeed true: the government should support more and more schools to prevent children which represent the future of the country from ending in misery, and cracks… In my opinion, the government should do even more by providing “good” teachers for public school like those that Lynda Barry knew. The teachers have to talk with their students and act friendly with them. I remember when I was in high school one of my teacher, he was really mean. When one of the students asks a question he just ridicules him and doesn’t even answer the question. It was really frustrating. In conclusion, I think that this Lynda Barry’s essay is truly a masterpiece in which Lynda Barry shows the importance of public schools through her own history. Neglected by her parents, Lynda received from school mind healing and refuge which made the school a “sanctuary” for her. Therefore, schools can also be sanctuaries for many of the children who are “abandoned” by their parents. In consequence, Government should be more implicated in education by firstly rising the budget of public schools and secondly provides good teachers to help all those students without family life in a society where more and more people are depressed by financial crisis that never end.